Why are we called Lodestone Systems? In the days before sextants, chronometers and navigation satellites, sailing the open seas was a risky business. Many ships ventured out, never to return. Rocky shores and limited supplies made mistakes costly. 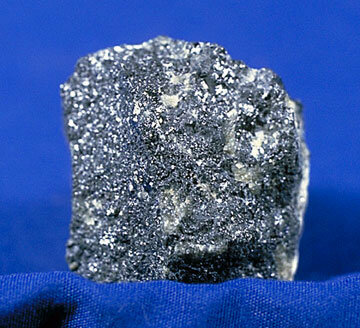 Then one day, navigators discovered a rock with magnetic properties, the lodestone. 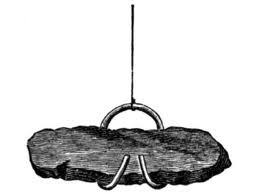 Suspended from a string, the lodestone always pointed north. With a lodestone, you knew where you were going. You could avoid the rocks and reach your destinations on time. This is the concept behind Lodestone Systems. We help companies navigate the maze of computers, the Internet, cloud computing, portable devices, and just trying to get your business running smoothly. We can provide you a combination of consulting, customized and “off-the-shelf” software, set-up and training. We help the modern day sailor avoid the rocks and reach their destinations quickly. For more information on lodestones (the rock), check out Wikipedia. You may ask, if lodestone is silver, why is our logo copper colored? The short answer is that silver ends up a boring gray in photographs and drawings, while copper stands out. With Arizona, our home base, known as “The Copper State”, it was an easy choice.